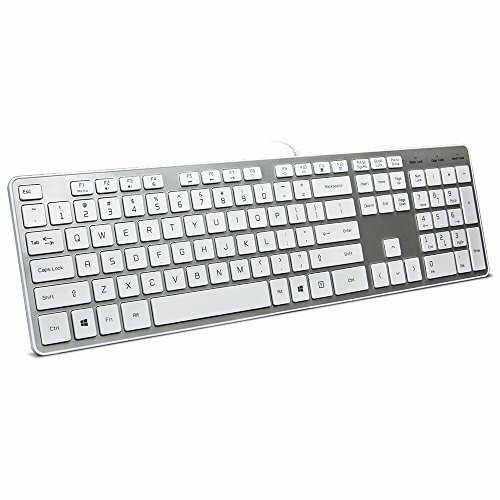 Easy installation Comfortable Quiet Typing Ultra-slim Design Multimedia Fuction Hotkeys BFRIENDit KB1430 USB Wired Keyboard Make You Enjoy Better Quiet Typing Experience. Color: Black, Light Green, Pink, Sliver, White, White&Orange. Windows XP , Windows 10 or later, USB Port. You Will Enjoy the Comfort and Simplicity of a Traditional Full-Size 105 Keys Wired USB Keyboard Layout From Day One. Comfortable Typing ,You'll Enjoy a Comfortable and Quiet Typing Experience with This Keyboard. Even for a Long Time Typing, You Won't Easily Get Tired. Mac and Macbook products can use this product, but will not support the original product's shortcut function! ! ! For better typing ,please remove the keyboard cover when using. You can put it on the keyboard to preventing dust after used. B.FRIENDit Not Only Want to Be Your Best Friend , But Also Hope to Be Your Best Wried Keyboard. If you have any questions about this product by BFRIENDit, contact us by completing and submitting the form below. If you are looking for a specif part number, please include it with your message.